For more than a century, George Fox University has been committed to providing a Christian education through which every student can grow intellectually and spiritually with the guidance of devoted Christian scholars. From the beginning, we have held that authentic faith results in an outward expression that addresses the world's concerns with compassion and personal sacrifice. George Fox is accredited by the Northwest Commission on Colleges and Universities. We offer more than 40 undergraduate bachelor's degree programs, and we consistently rank as one of the top Christian universities on the West Coast. Forbes ranks George Fox among the top-10 "Best Religiously Affiliated Colleges" in the nation. Forbes consistently ranks the school among the nation's top Christian colleges. 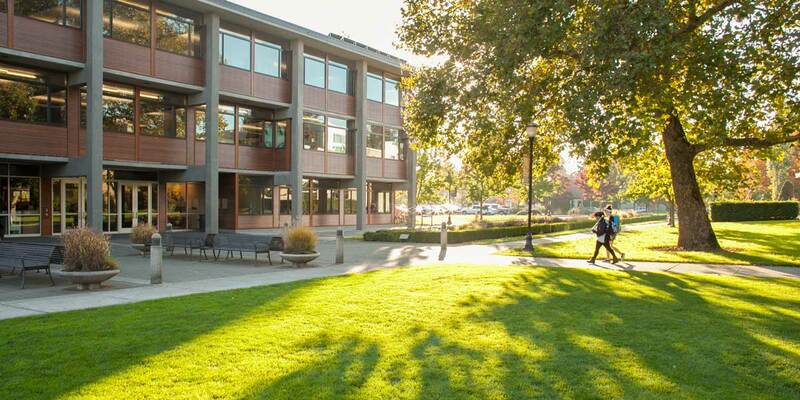 George Fox is classified by U.S. News & World Report as a "Best Regional University (West)." The Princeton Review lists George Fox as a "Best in the West" selection. George Fox is listed among the top five "Best Seriously Protestant Schools" in the nation by First Things, a publication of The Institute on Religion and Public Life. George Fox is one of 50 listed in the Intercollegiate Studies Institute’s “Guide to All-American Colleges,” along with University of Chicago, Princeton University and Whitman College. George Fox is consistently a national leader in study-abroad participation (U.S. News & World Report). More than half of our undergraduates participate in an international experience. George Fox undergraduate and graduate students receive funding for independent research projects conducted with a faculty mentor. We are one of 11 universities in the Richter Scholars Program, including Yale, Dartmouth, Cal Tech and the University of Chicago. Every fall, the university closes campus for its annual Serve Day and sends more than 1,800 students, professors and staff members into the local community to do volunteer service at parks, senior citizen homes, churches, government agencies and nonprofit organizations. George Fox students annually volunteer thousands of hours of service to Yamhill County and surrounding areas. Students use their winter, spring and summer breaks to volunteer locally and internationally on school-sponsored service trips. Eighty-eight percent of George Fox graduates finish their degree in four years. Since its founding in 1891, George Fox has remained an intentionally Christ-centered university. To learn more about the institution’s theological positions, visit the university’s Statement of Faith page.